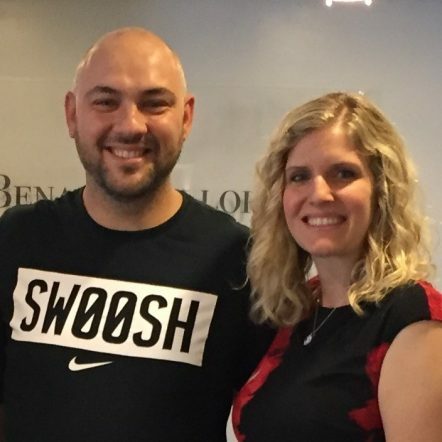 This month we are thrilled to recognize Milan Stankovic as our client of the month. After filing his I-589 asylum application and three evidentiary filings, several hours of grueling interviews, numerous status inquiries, and six long years of seeking protection in the United States, Milan has finally been granted asylum. Milan, previously a professional soccer player and small business owner in his home country of Serbia, fled his home in 2011 following years of brutal violence against him. This violence ended his soccer career, destroyed his small business, and caused him to live in fear for his life every single day. As a gay man in Serbia, Milan could not live in peace; he could not live in safety. Rather, he was attacked and intentionally injured by his soccer teammates, his business was burned to the ground, he was discriminated against and unlawfully terminated from his employment, he was targeted with regular and violent threats against his life resulting in his depression and isolation, and he was severely beaten, hospitalized, and left with permanent scars – all because he is gay. Yearning to be able to live openly and freely as a gay man, but enduring years of brutal violence in his home country, Milan realized that he could not be safe in Serbia and sought protection in the United States. Unfortunately, our broken asylum system left him to continue in a state of limbo for six long years. Milan filed his asylum application on his own in 2011, and completed his first asylum interview in December of 2011. After his interview, he waited and waited for a decision on his application, but the decision never came. Milan was vigilant in following up on his application and submitting frequent status inquiries with the asylum office; however he still received no response from the asylum office. Frustrated and not knowing what else he could do, Milan came to see Dree Collopy at Benach Collopy. At that point, Milan’s application had been pending for four years. Dree took on his case, making inquiries to the asylum office and, eventually, notifying the asylum office that such an ongoing, unreasonable delay would result in mandamus litigation in federal court if a decision was not made soon. Suddenly, the U.S. government was interested in resolving Milan’s case and scheduled him for a follow-up asylum interview at the asylum office. BC ladies love victory flowers! Prior to the interview, Dree presented additional supporting documentation on Milan’s behalf to corroborate what had happened to him in Serbia, update the record with the current country conditions, and further develop his asylum claim. Dree also attended the follow-up interview with Milan in January 2016. Unfortunately, what should have been an interview to simply update the record quickly became a nightmare scenario with an aggressive, unprofessional asylum officer who exhibited very little sensitivity or understanding of the LGBTQ community and its struggles. Dree fought for Milan’s rights during and after the asylum interview, making a record of the asylum officer’s unprofessional behavior. Yet, Milan’s application continued to sit, unadjudicated. Another year and a half went by, with our office working all of our connections and exhausting all of our administrative remedies to secure resolution for Milan. Finally, in July 2017, Dree received word that Milan’s application had been approved. 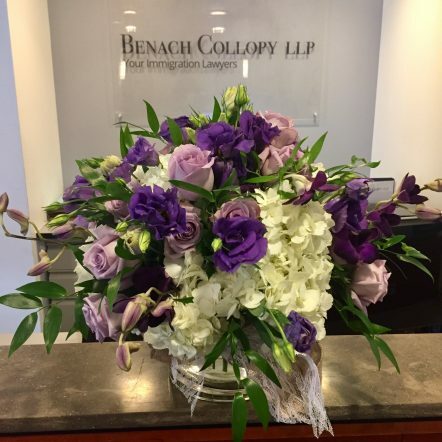 It is news like this that is the best kind to deliver – Milan and the entire team at Benach Collopy were absolutely thrilled. Congratulations, Milan, on being granted asylum – you are so brave and remained so strong and positive in spite of all the challenges you endured. We are so happy for you and know it was worth the wait to have you (officially) join us in the U.S.A.!